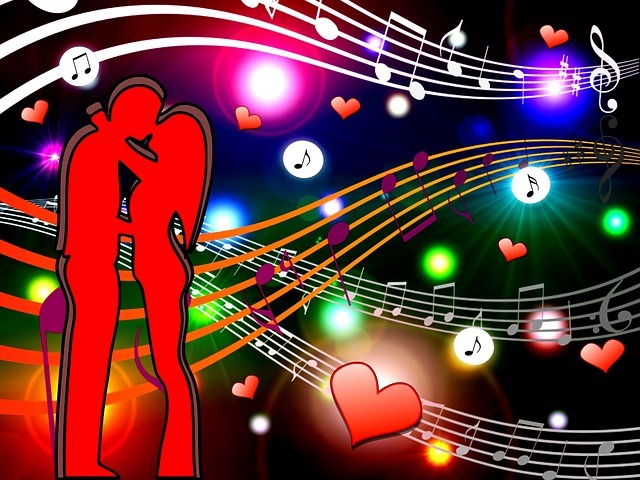 It is said that some of the greatest love songs ever composed or written were done by artists who were under the influence of love. Clearly the effect and inspiration love has and has had on music can be heard everyday on the radio. From classical music to rock & pop, there have been boundless songs, poetry and other works of art created because the driving force or cause behind it was love. One of the greatest love stories ever told was and is Romeo & Juliet which was written by Shakespeare hundreds of years ago. While Romeo & Juliet was a play and not a song, the music written to accompany it each time the play was performed captivated audiences in the early years and still to this day. Decades later, the play is in like manner one of the most frequently performed plays in history. While the romantic love story has a tragic ending, the message of love resonates loudly throughout. No one can really say what or whom inspired Shakespeare to write the play. However, it is safe to say that love had some sort of influence on him and his writings. Hundreds of other famous composers also wrote numerous plays and compositions where love was the theme and reason behind their work. As the genres of music changes and keeps evolving, the songs being written by artists influenced by a love interest remains the same. From Blues, Pop, Country to R&B and many others, no matter the genre, the inspiration behind most song is the same; romance and love. One genre that was clearly affected by love and the songs written was and is Rock & Roll. There have been many beautiful women who inspired numerous famous artists such as John Lennon, Van Morrison and The Beatles to write and sing ballads for them. Of course men also inspired women to write and sing about them as well. Nothing inspires a man or a woman to write and want to sing about someone he or she cares about more than love and their romance. Fact is that many artists and writers have said they ended up writing some of their best music and songs while in love or in a romantic relationship. In truth, some performers have said that they could not get themselves to write a song or music again with the same intensity they once had after they lost their significant other or stopped loving that person. It is no secret that pain, anguish and a broken heart can lead to inspiration where a person wants to put what he or she feels at that moment and write or record it. By doing so, the person feels they can share with the world what they felt or feel and maybe help someone one else going through similar feelings cope with their emotional turmoil. In the end though, they were all written because someone was clearly affected by the love bug. What is it about love that causes us, the public, to listen to certain songs while we are in the midst of emotional restlessness and anxiety? Perhaps listening to someone sing about what and how we feel or felt helps to ease the pain and suffering. Of course there are also numerous happy songs written as well which motivate listeners into happiness and good spirits. You should also read Does Music Have Healing Powers I Don’t Know About? Someone once asked “Where would we be without music in our lives?” It is a great question whose answer cannot be truly known. Nevertheless, an even better question is “What would music be without love?” That inquest opens up an even bigger scenario of what ifs. History has already taught us that millions of plays, works of art, music and songs were written due to the power of love. So in the end we are thankful for both love and music.